A museum might wow you with all of its fossil specimens on display, but that’s often just a small part of what’s really there—specimens in the back might lay in drawers or plaster-wrapped in boxes, quietly holding yet-to-be-revealed secrets or further mysteries about the past. Such is the case with an incredible bird fossil, found 25 years ago in Utah but only just described. The fossil is pretty nuts—a turkey-sized extinct bird called an enantiornithine, apparently highly capable of flight, and perhaps one of the most complete of its kind ever found in North America. It furthers the mystery of why some dinosaurs went extinct but others (the birds we see today) stuck around. This fossil has a story a quarter of a century old. Paleontologist Howard Hutchison found it on a trip to Grand Staircase-Escalante National Monument in Utah, in 75-million-year-old rocks. Plenty of paleontologists knew about the “important” specimen, Atterholt explained—but never completed their analysis on it. Atterholt was specifically interested in how these enantiornithines evolved and asked if she could work on it. “Now we’re finally making it happen,” she said. She, Hutchison, and researcher Jingmai O’Connor published the results today in PeerJ. 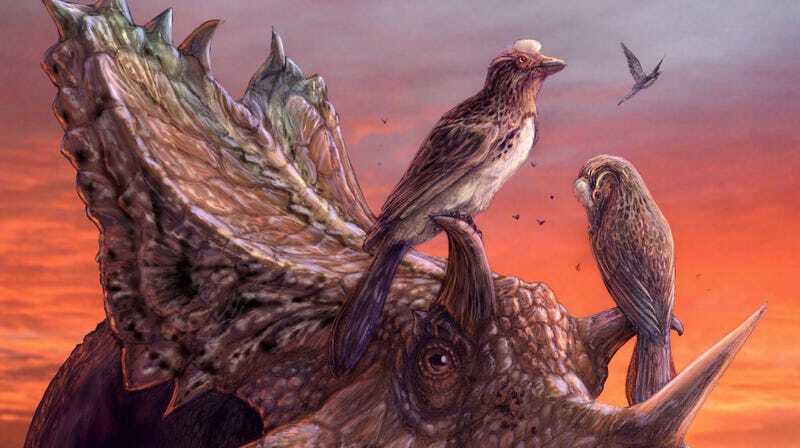 “No doubt this is one of the most important bird fossils from the Age of Dinosaurs,” Steve Brusatte, a University of Edinburgh paleontologist not involved with the study, told Gizmodo.